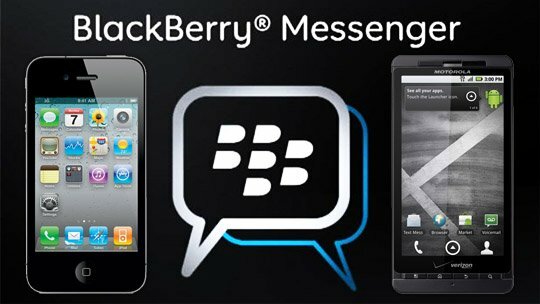 Lately BlackBerry has had its lips sealed when it comes to BBM for iOS and Android, but a company exec has revealed that BBM is “days away” from being released on third party platforms. Chief Marketing Officer Frank Boulben spoke to Reuters on October 14 about the issue. BBM was to be launched on iOS and Android platforms last month. But prior to the launch of BBM for Android, an unreleased version of the BBM for Android was posted online. The Canadian company immediately delayed the launch of its BBM app. In a blog post the company said “we are pausing the global roll-out of BBM for Android and iPhone” citing the leaked app as the cause of this delay. The company’s future was further thrown into question after it announced this summer that it is weighing its options, including an outright sale. The company also issued an open letter in over 30 newspapers around the world assuring customers, “You can continue to count on us.” In the letter BlackBerry called BlackBerry Messenger a “best in class mobile social network.” “There are already around six million customers pre-registered to be notified of our roll out,” the letter said.